If you would like to schedule an appointment please contact us at the schedule button below. For people who are not yet patients, you may send a general question by using the email button below. If you are a current patient and wish to send a message to the office or Dr. Shahan, please send a message by patient portal mesaging. To connect to our office by phone click the phone button below. For directions to the office please click the map button below. Our fax number is 877-241-8199. If you need to contact us but are not wanting to schedule an appointment please fill out the information below. We work diligently to respond to emails as quickly as possible. Thank you for your time and have a great day. 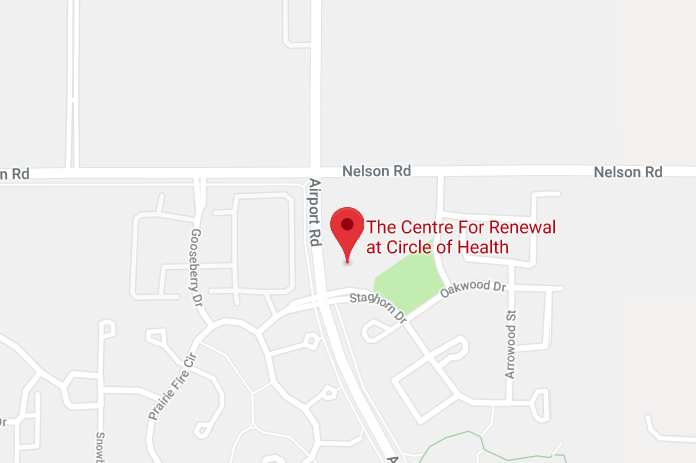 The Centre for Renewal is located in the Circle of Health office at the intersection of Airport and Nelson Roads. We can be found on the north end of Building A, in the same building as Fabulous Finds. Click on the Map below for directions.